In recent weeks, parts of south Louisiana, including the greater Baton Rouge area, were devastated by historic, unprecedented flooding. Thousands of homes were destroyed and thousands of families in our community were displaced. 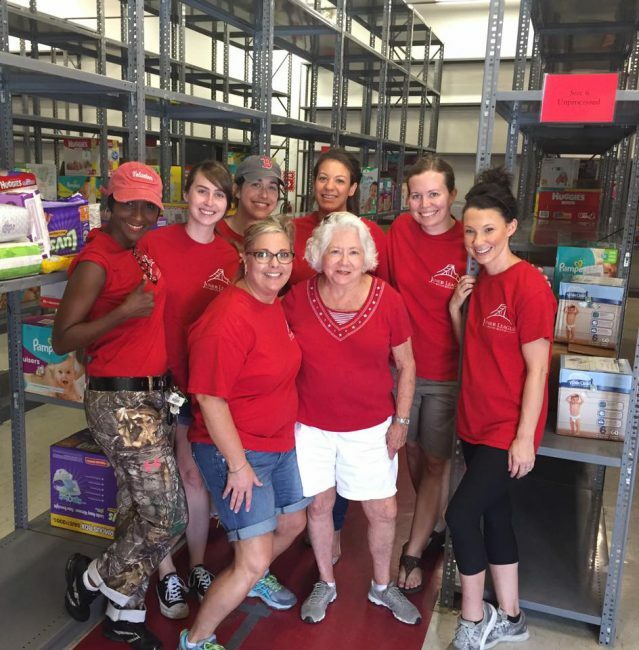 In the weeks that have followed this natural disaster, one of the Junior League of Baton Rouge’s newest community projects, the Diaper Cooperative, has been working overtime to ensure infants in our community continue to have access to diapers, wipes, and formula. 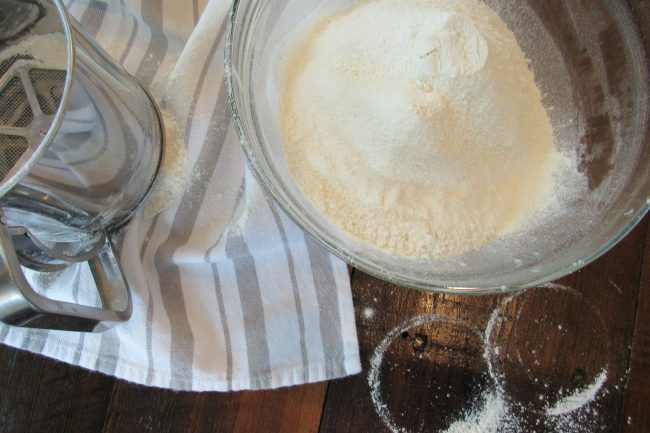 This week’s blog post highlights the Diaper Cooperative and includes a quick and easy Cinnamon Apples baby food recipe that you can make at home! Junior League of Baton Rouge members receiving a large donation of diapers, wipes, and formula from the Junior League of New Orleans. All My Sons Moving and Storage helped deliver these items to the Cortana storefront, where JLBR members helped distribute items to families in need. During a baby’s first year, families can expect to change approximately 2,500 dirty diapers! The cost of disposable diapers can run at least $600 per year, not including the cost of wipes and diaper creams. While using cloth diapers can save a considerable amount of money, they present a much larger up-front expense. Given the high costs of caring for such a basic need for infants, many people are surprised to learn that diapers are one of the few items not covered by WIC or Food Stamps, making it extremely challenging for low-income families to afford and access clean diapers. The impact of this problem goes far deeper than you might imagine. Improper diapering can lead to painful diaper rashes and urinary tract infections, which can eventually lead to fever, jaundice, and even renal failure. Poor diapering also contributes to the spread of infectious diseases like Hepatitis A and viral meningitis. Treatment of these infections requires doctor visits and medical care, adding additional expenses to families already struggling to make ends meet. Additionally, sick children or children whose families cannot afford sufficient diapers cannot attend daycare, compounding the economic issues faced by these families by making it even more difficult for family members, particularly single mothers, to continue working. In 2014, after learning of the long-lasting impact on families and communities that something as small as diaper need can have, Junior League member Eunice McCarney launched the Diaper Project Planning and Implementation Committee and led a team of seven League members to investigate, research, and plan the existence of a significant diaper need in the Baton Rouge community. After spending the year interviewing local community agencies and organizations, looking at the statistics, reaching out to other Junior League chapters around the country, learning that there is only one Diaper Bank in Louisiana (and none in East Baton Rouge Parish! ), the JLBR Diaper Cooperative Committee was born. JLBR President Kathy Victorian with JLBR member Quanda Charles delivering diapers to the Jewel J. Newman Community Center. In the short amount of time that the Diaper Cooperative Committee has been in existence, the Committee has already had a significant and meaningful impact in the Baton Rouge area, organizing and implementing multiple diaper drives over the course of the last year and collecting thousands of diapers to distribute to low-income families in our community. 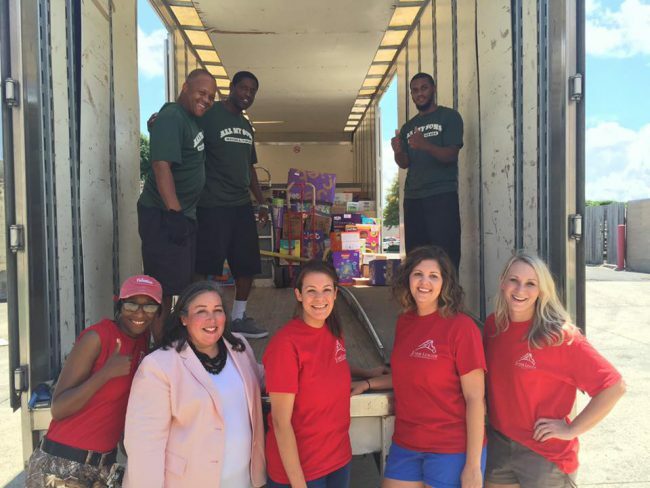 More recently, in the wake of the historic flooding that has devastated the area, the Junior League of Baton Rouge has distributed over 150,000 diapers to relief agencies and shelters in our community. To learn more about this issue and how you can get involved, donate diapers, or make a monetary contribution, please visit the Junior League of Baton Rouge website. You can also search for diaper banks in your area or learn about starting a diaper bank in your community on the National Diaper Bank Network website. 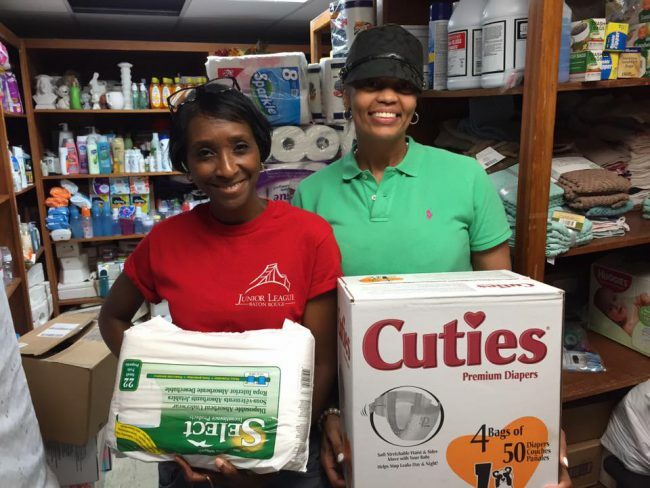 JLBR Members working to distribute diapers to families in need following the historic flooding in south Louisiana. In addition to proper diapering, another major key to keeping your baby healthy, of course, is proper nutrition! Making your own baby food at home is a great way to introduce your child to the love of cooking and healthy eating at an early age. 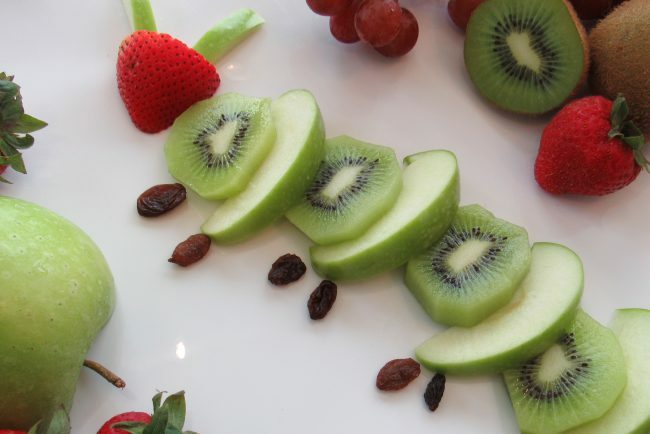 Additionally, it allows you to use fresh, local, organic ingredients in your baby’s diet. 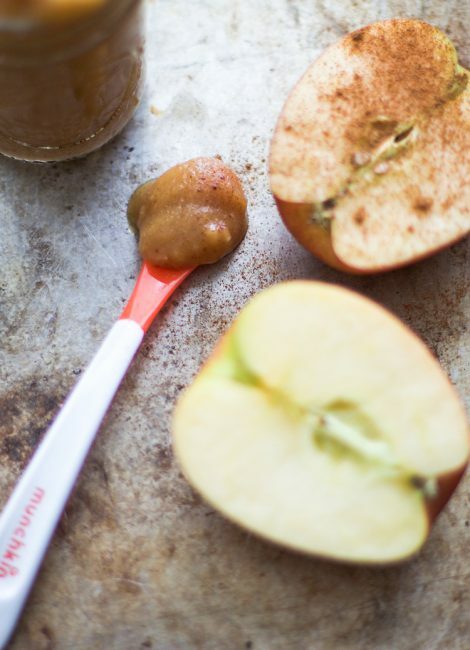 If you are interested in making your own baby food, this easy Cinnamon Apples baby food recipe from the food blog My Diary of Us by Leigh Ann Chatagnier is a great place to start! Leigh Ann, a Houston resident with Louisiana ties, is a food enthusiast, photographer, and stylist who recently had her first baby. 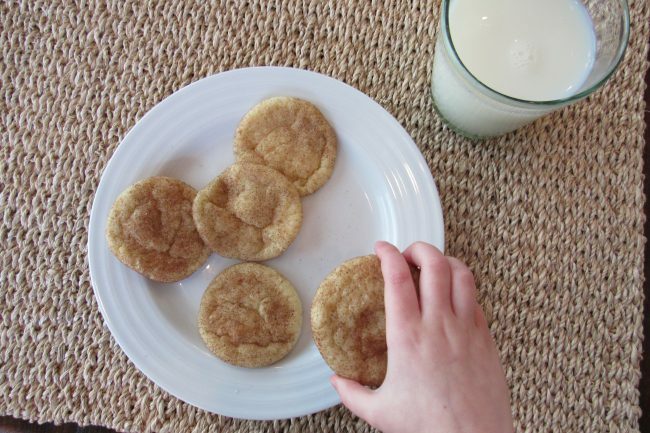 Once her son Parks was old enough to begin trying solid foods, she was excited to begin “exploring the world of food with him.” Leigh Ann recommends starting simple at the beginning stages so that your baby can gradually adjust to eating solid foods. 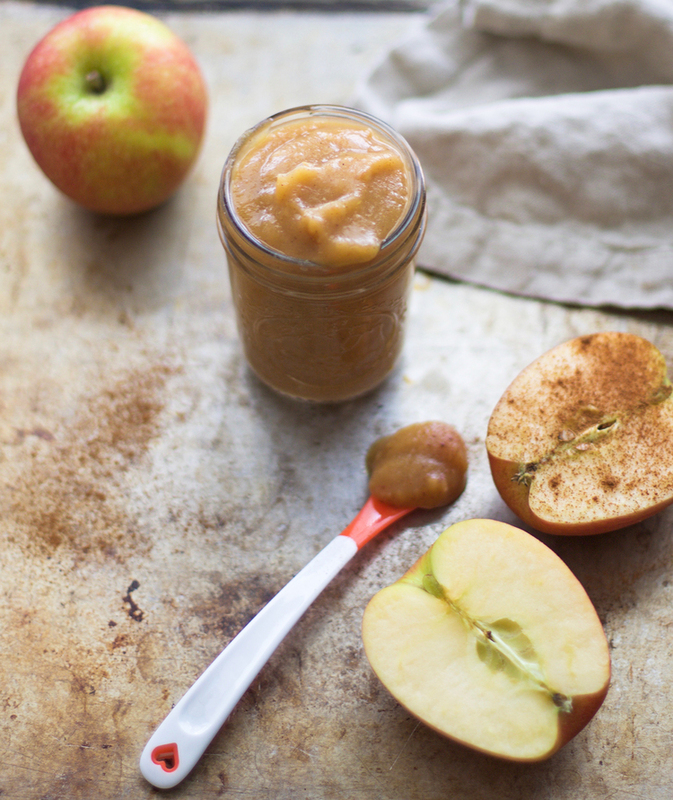 The first recipe she tried was a classic – cinnamon apples. “One of the best first fruits to introduce is apples and adding a little cinnamon just gives babies a little something extra to help develop their palettes.” Check out Leigh Ann’s original post here! Photo by Leigh Ann Chatagnier. Peel and core apples. (Leigh Ann recommends doing a rough peel, leaving some skin on for extra fiber.) Rough chop the apples and add to a saucepan with the water and the cinnamon. Simmer the apples for 15-20 minutes or until apples are tender. Add more water as the apples simmer if needed. Add cooked cinnamon apples to a food processor or a high powered blender and process until smooth. 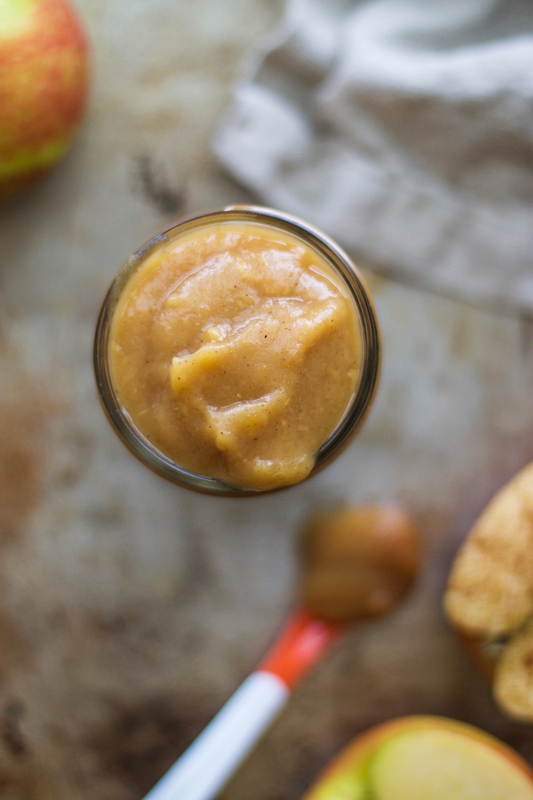 Pour apples into baby food storage trays (or ice trays) and freeze for 3 weeks. Food will keep for 2-3 days in the fridge. Community Project Spotlight: Ready Hands! After our son was born, my husband and I were amazed at the outpouring of love from friends and family – most of which came in the form of food! Nearly every day for weeks after he was born, church members, coworkers, friends, and family members stopped by to ooh and ahh over our bundle of joy and bring us dinner. It was a lifesaver during this chaotic time. As we struggled to adjust to life caring for both a newborn and a toddler and trying to stay on top of all our other responsibilities, having these “extra hands” to take care of one of our family’s basic needs truly meant the world to us. Through its Ready Hands! committee, the Junior League of Baton Rouge lends an extra hand to nonprofit organizations hosting events throughout the Baton Rouge community. Ready Hands! touches nearly every aspect of our community, and Junior League members volunteer thousands of hours each year assisting organizations who fit within the League’s mission by providing brown bag lunches, frozen casseroles, handing out water at 5ks, assisting with registration at events, playing bingo with residents at Oak Park Plaza for their birthdays each month, preparing and assisting for luncheons and fundraisers, and countless other acts of service. If your nonprofit organization needs assistance for an upcoming event, learn more about Ready Hands! here! 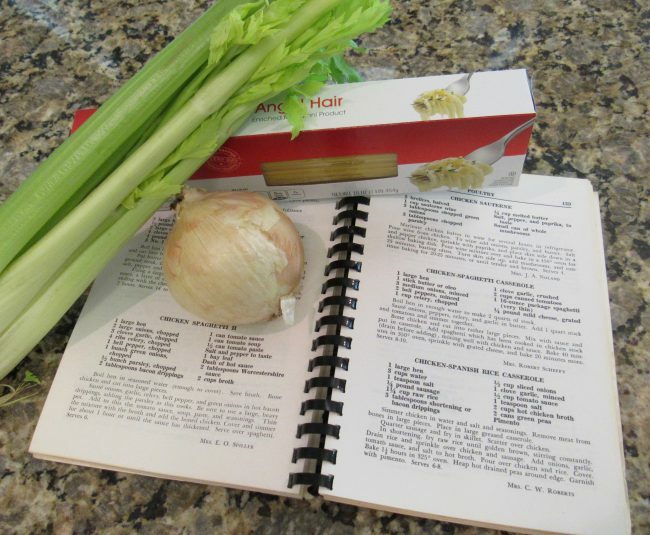 This Chicken-Spaghetti Casserole is a great dish to bring to someone in need of an extra hand. As a bonus, kids love it too, making this dish a crowd pleaser for the entire family. Make it ahead and simply pop it back in the oven to reheat when you are ready to serve. 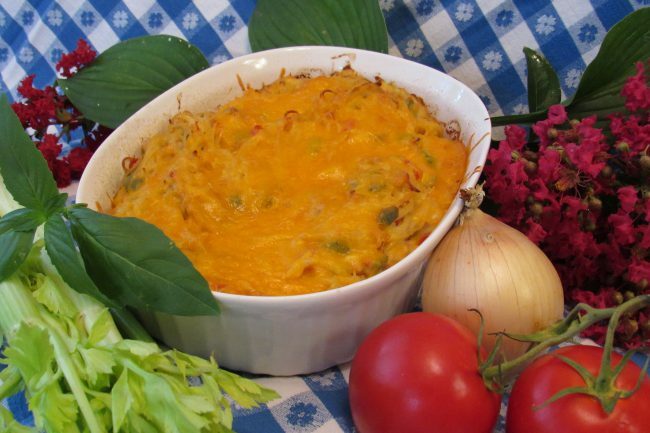 The recipe makes 8-10 servings, so I recommend making it in two separate casserole dishes. You can keep one dish for your family and bring the other to a friend in need! Boil the hen in enough water to make 2 quarts of stock. Sauté the onions, peppers, celery, and garlic in butter. Add 1 quart stock and tomatoes to the pan and simmer together. Bone the chicken and cut into large pieces. Mix with the sauce and put it in the casserole dish. Add the cooked and drained spaghetti to the remaining quart of chicken stock, and mix well with the chicken and the sauce. 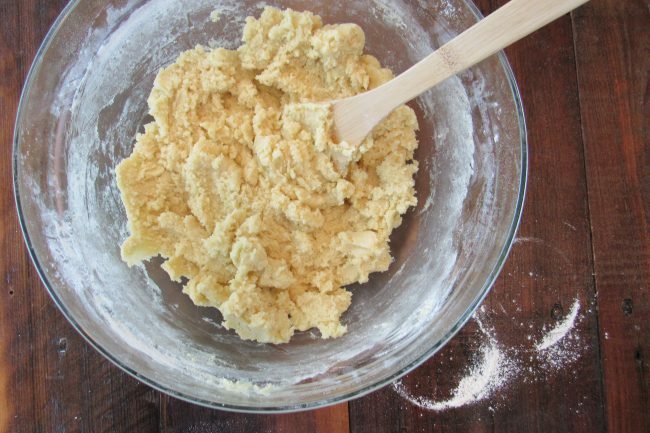 Bake for 40 minutes at 350°, sprinkle with the grated cheese, and continue baking for an additional 20 minutes. In a hurry? Modify this recipe by simply picking up a freshly cooked rotisserie chicken and a two quarts of ready made chicken stock at the grocery store instead of cooking your own hen! 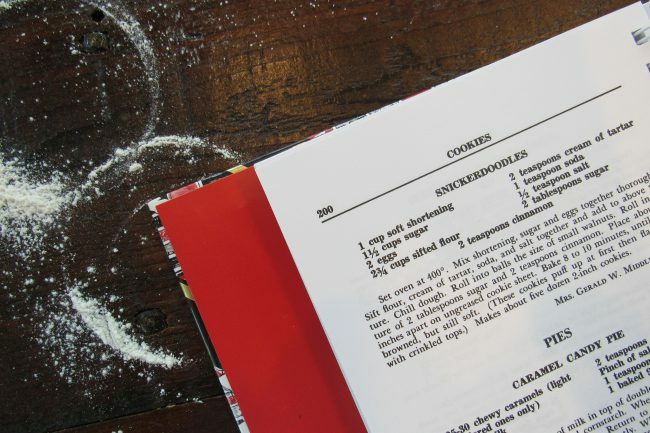 Once Upon a Time…in the Kitchen! The Junior League of Baton Rouge, working with our community partner, the LSU AgCenter, aims to bring this same joy of books to children and parents in our community through The Little Bookshelf program. The Little Bookshelf has helped thousands of children in our community travel to exotic lands, meet fascinating characters, and embark on thrilling adventures, all without ever leaving the Parish. From Saturday morning story time to free books and art activities at various community events, The Little Bookshelf strives to turn what starts out as an evening bed time story with mom and dad into a lifelong love of reading. Since the program’s inception, The Little Bookshelf has served our community by providing 200 low-income families with in-depth literacy support and resources, an additional 400 children at child care centers with small children’s libraries, and inspiring the imaginations of over 61,500 people with storytelling, free books, and art activities at various community events. 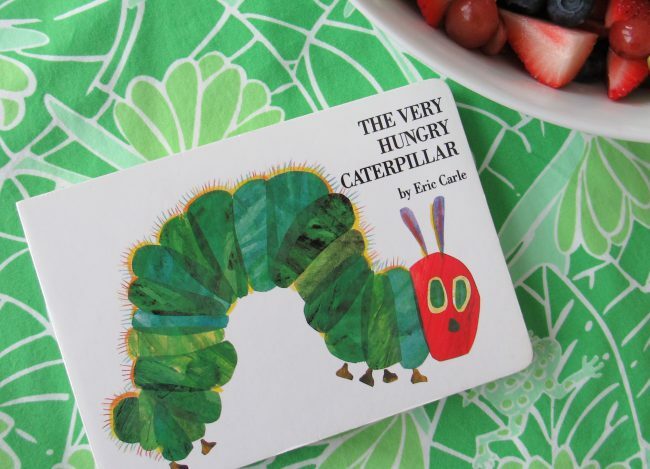 A childhood classic – The Very Hungry Caterpillar by Eric Carle. Photo by Lauren De Witt. Keep an eye out for Junior League members on The Little Bookshelf committee at a wide variety of community events in the coming year – from Saturday story-time at the LSU AgCenter Botanical Gardens at Burden, to informational tables at Baby Grand at Woman’s Hospital, and even at the annual Louisiana Book Festival at the State Library of Louisiana! In the meantime, make your own fun at home by reading with your child daily. Make story time an even more memorable activity by pairing a favorite book with a fun craft or snack – like making your very own edible hungry caterpillars from Eric Carle’s The Very Hungry Caterpillar!